The last date to file the income tax return is July 31. Income tax return can be filed online through the portal incometaxindiaefiling.gov.in. The Income Tax Department has been using different mediums to remind assessees to file their income tax return (ITR) for Assessment Year 2018-19 by the due date. 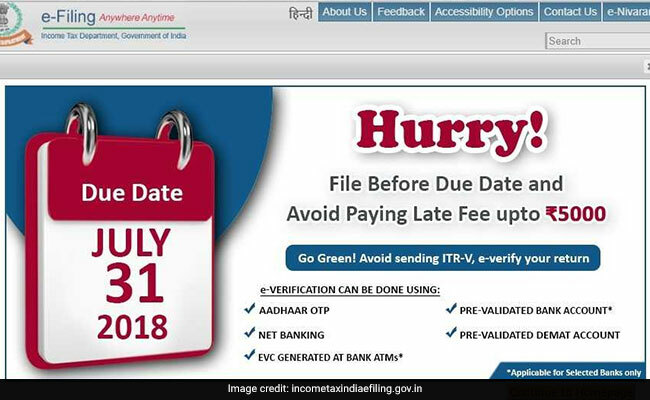 From social media platforms to website to emails, the taxman is urging assessees to finish the income tax return filing process before the due date. The last date to file the income tax return is July 31. Income tax return can be filed online through the taxman's portal, incometaxindiaefiling.gov.in. The public can file the income tax return online to and get the refund "faster than ever", said Finance Minister Piyush Goyal on microblogging site Twitter. He also encouraged the public to not wait for the last date to file the income tax return. 1. What happens if you miss the July 31 deadline to file your income tax return? 2. How much interest do you have to pay for filing a delayed income tax return? When income tax return is not filed within the due date, interest at the rate of 1 per cent per month or part of the month is levied up to the date of filing the same. The said interest is payable on tax payable after deducting the TDS (tax deducted at source), TCS (tax collected at source), advance tax and other reliefs/ tax credits available under the law, said Chirag Chordia, Qualified Associate-Direct Tax, N.A. Shah Associates LLP. TDS is deducted by buyer or payer while TCS is collected by receiver, payee or seller. 3. How to file income tax return online? 4. Does a delayed income tax return lead to in delayed processing? Once the return is filed and verification of the same is duly completed, the Central Processing Centre, Bangalore, of the Income Tax Department, processes the income tax return. It is only then that the tax liability or refund of taxpayer is determined. Delayed filing of income tax return will result into a delayed receipt of the tax refund. 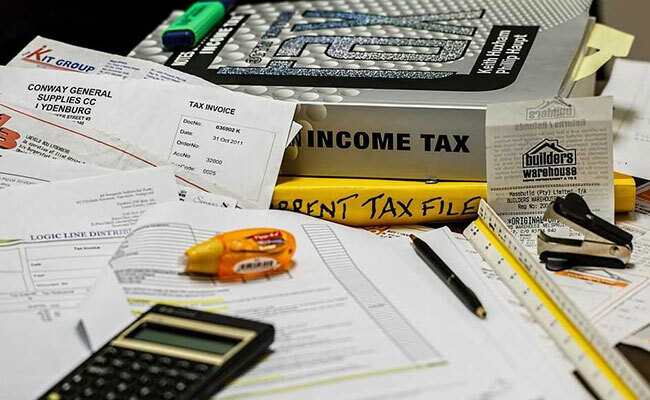 It is advisable for every taxpayer to file income tax return well in time and avoid various consequences including levy of mandatory fee, say experts. 5. How to e-verify income tax return? After submitting an income tax return, the assessee is also required to verify it. There are two options to do so: offline and offline. In the offline method, the assessee sends the a hard copy of the ITR-V to CPC, Bengaluru. In the online mode, the income tax return can be verified in five ways: through net banking, through bank account, through demat account, through bank ATM and through Aadhaar OTP.